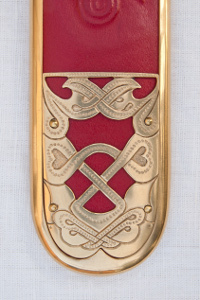 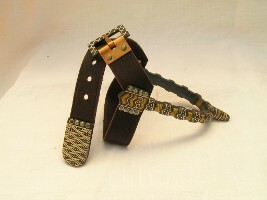 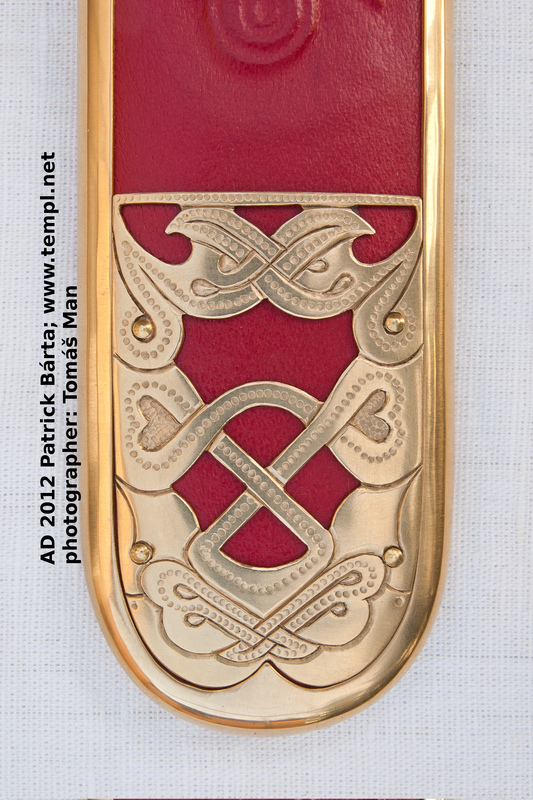 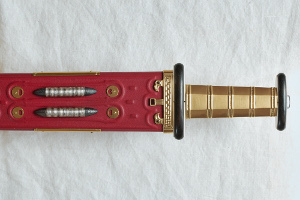 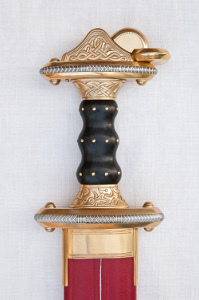 pattern-welded blade, sword fittings of gilded bronze and garnets, sword bead of agate. 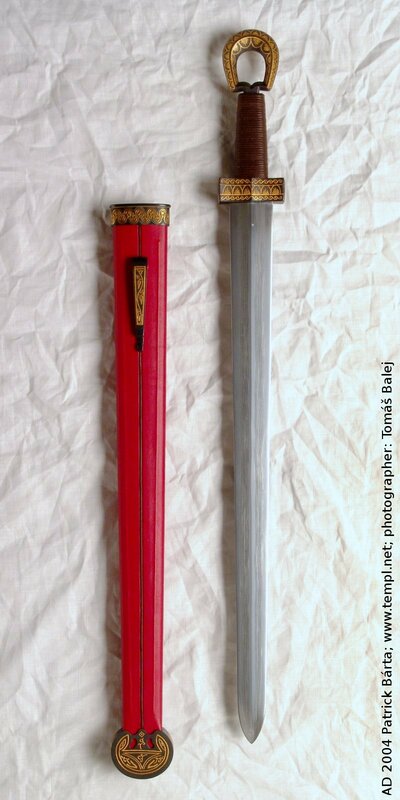 More informations about making and text "Sword from Blucina". 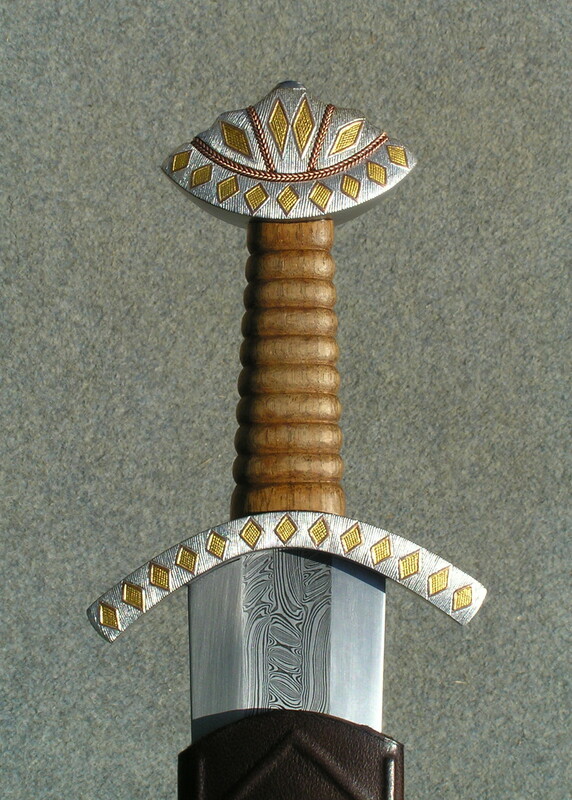 hilt of horn and wood, covered by rayskin, cloisonne pommel. 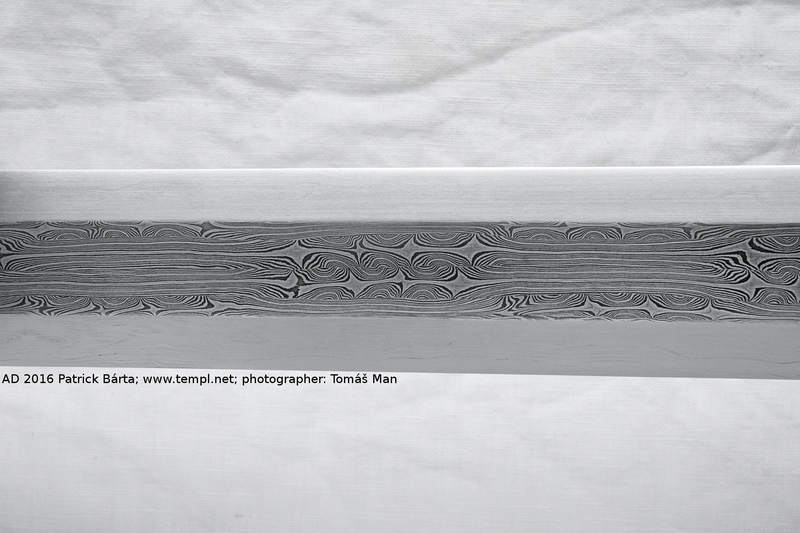 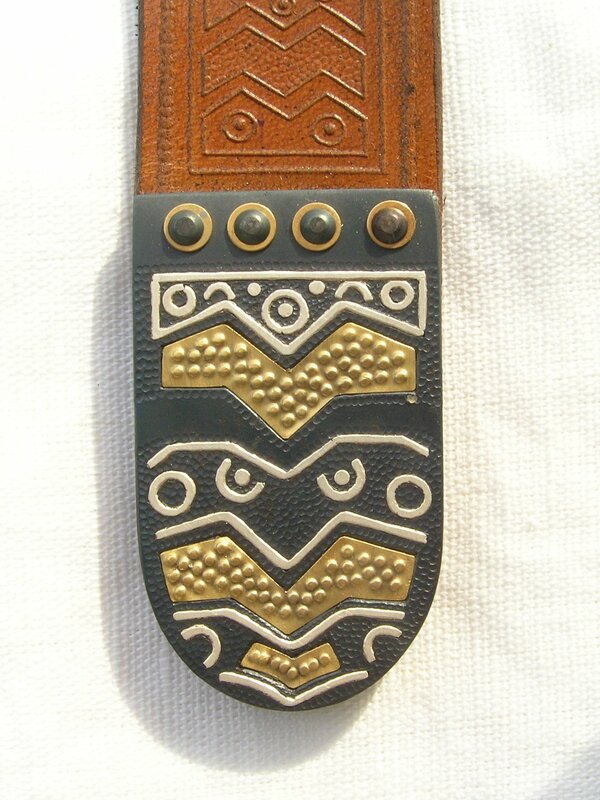 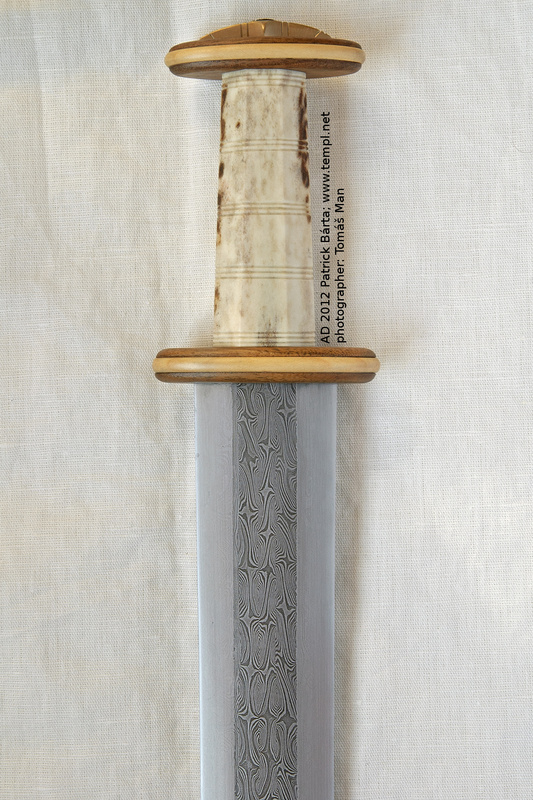 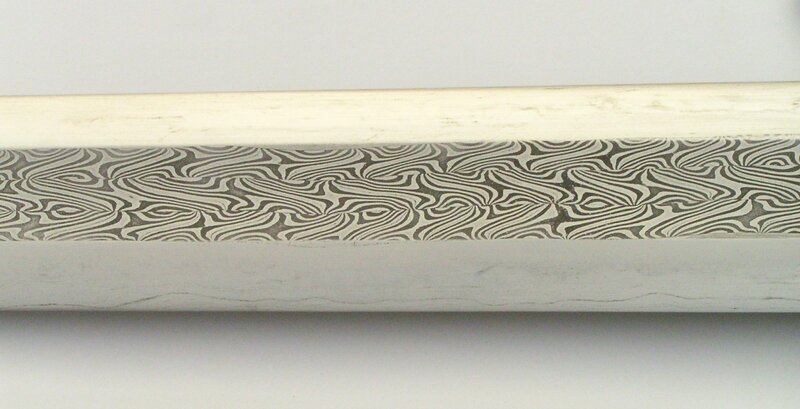 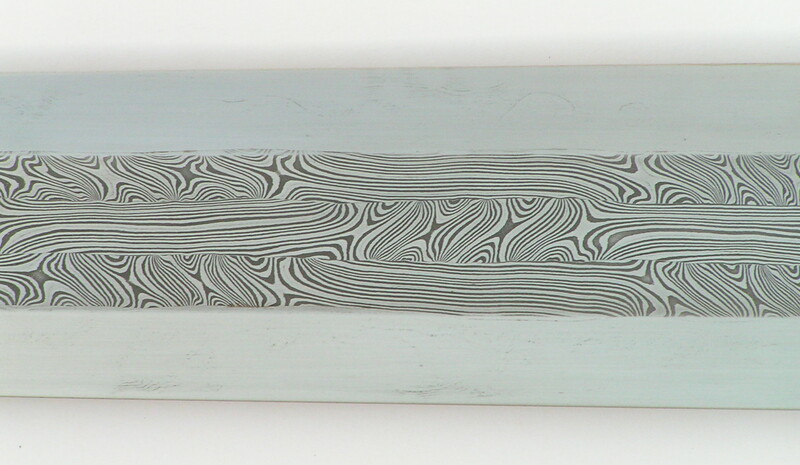 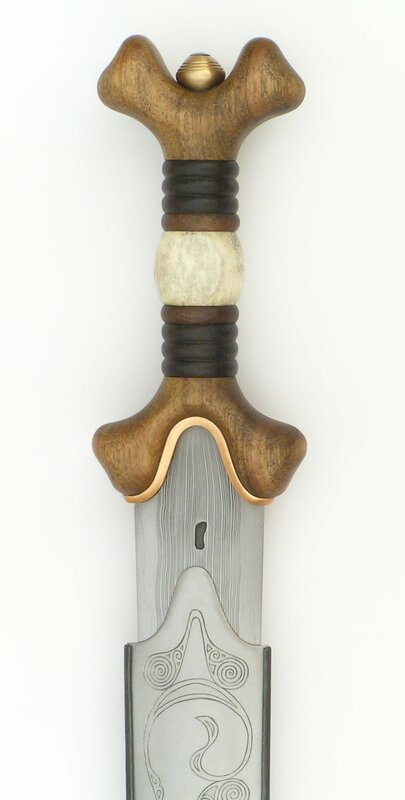 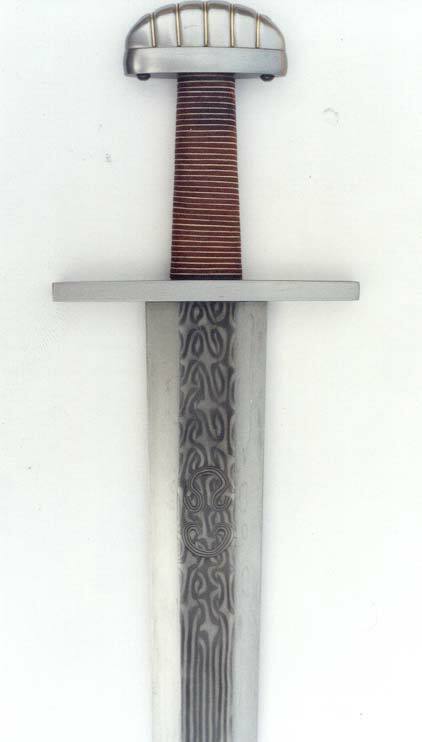 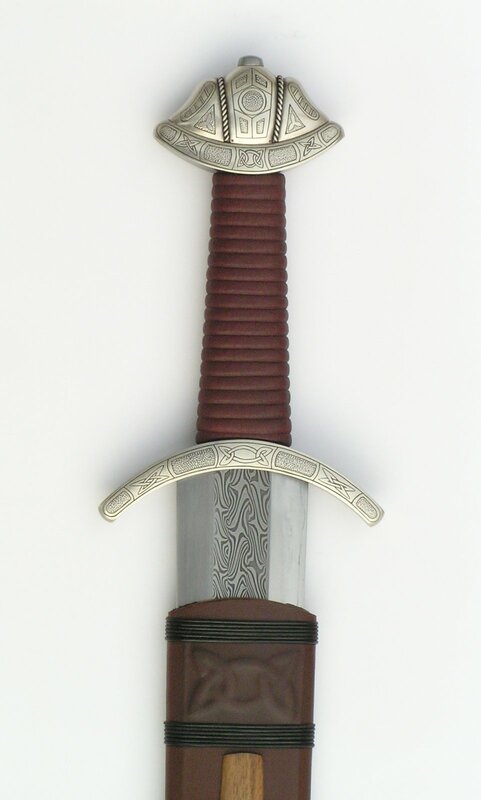 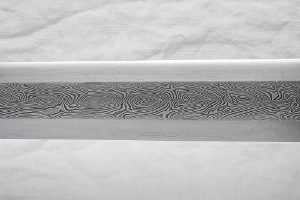 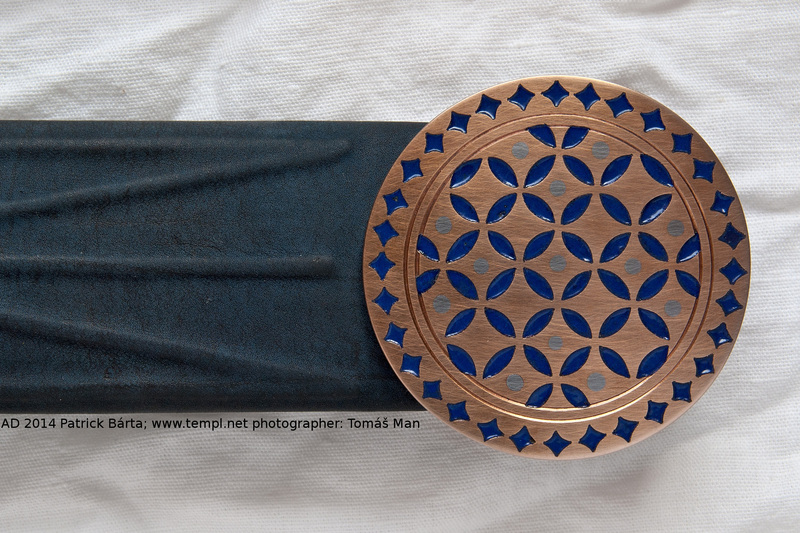 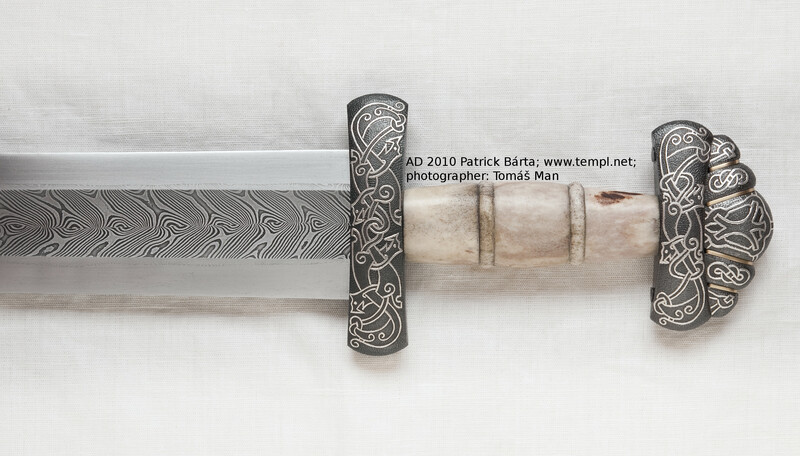 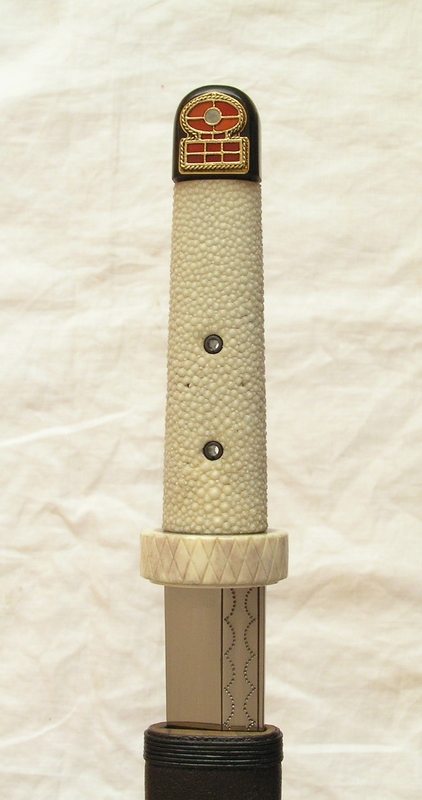 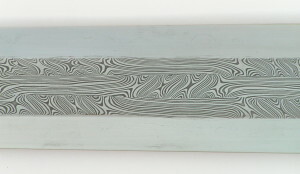 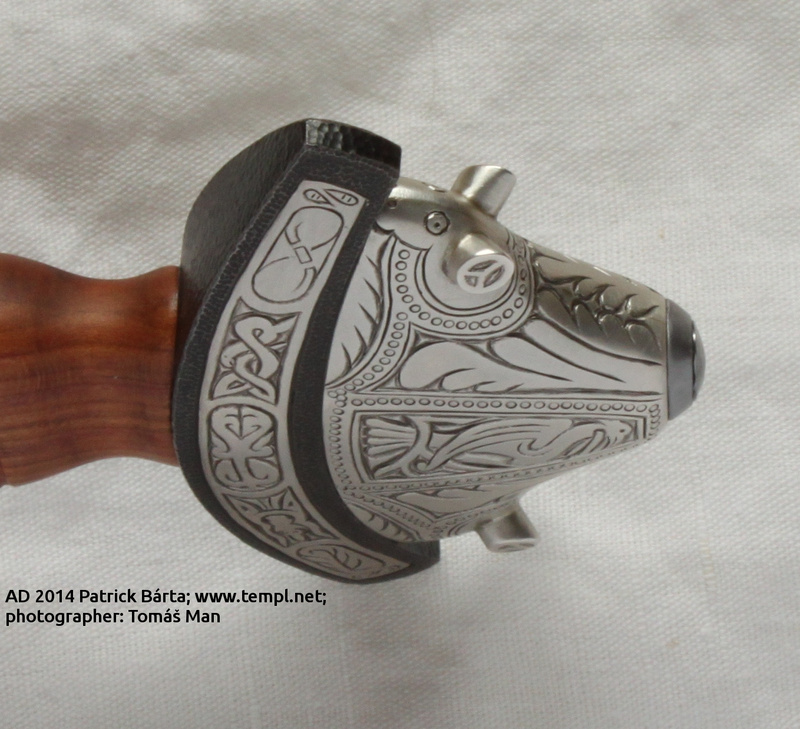 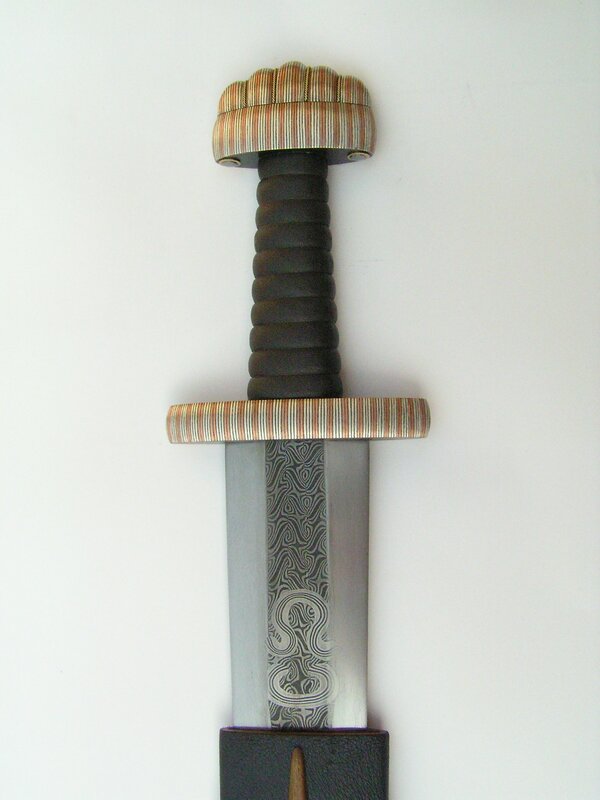 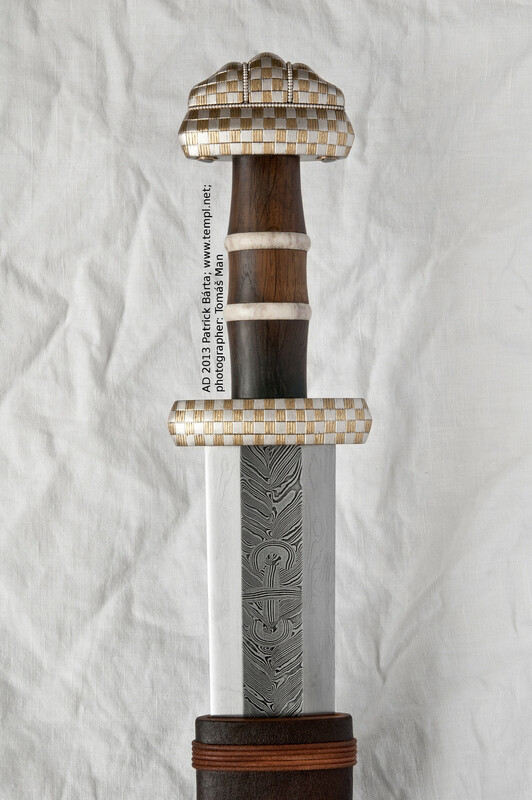 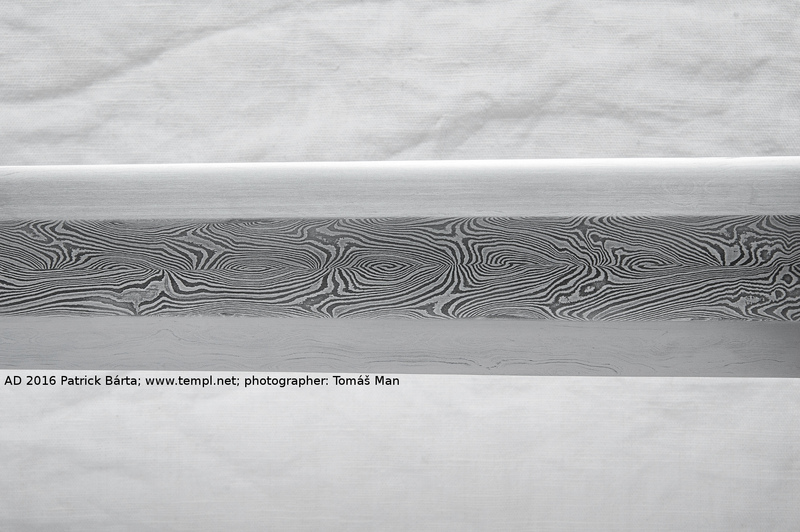 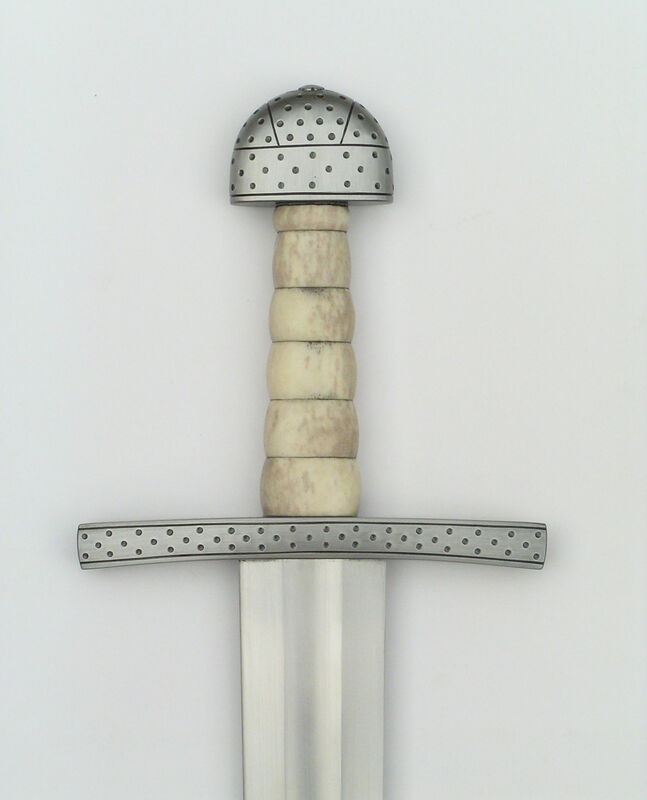 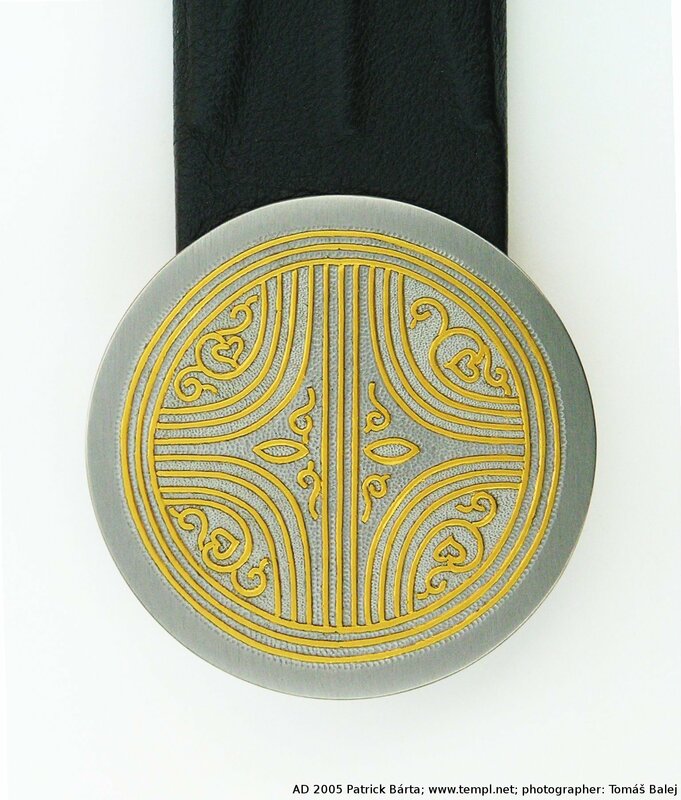 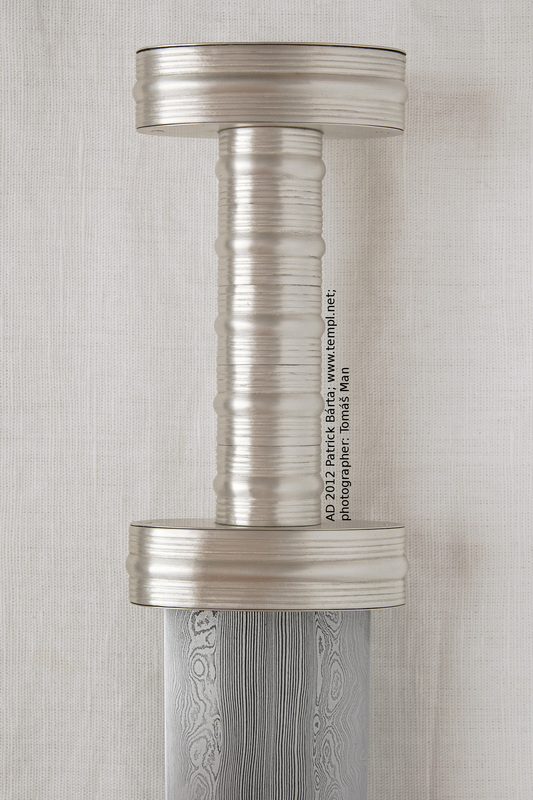 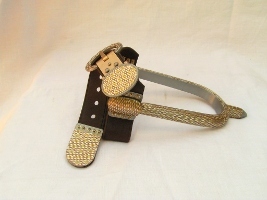 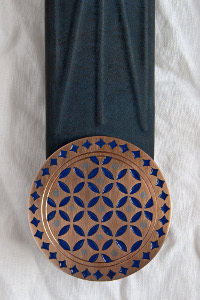 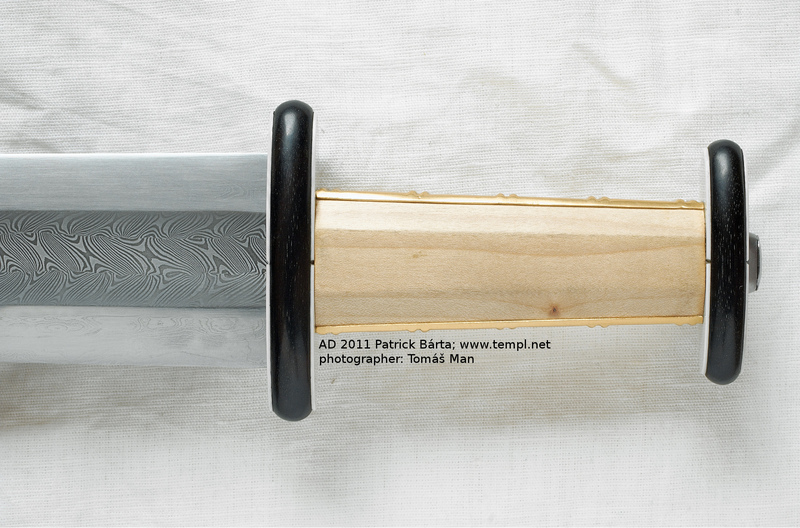 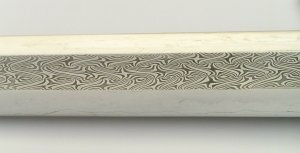 two layered pattern-welded blade, pommel inlaid with silver. 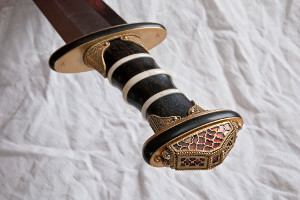 More information about making, research and The conservation of original sword. 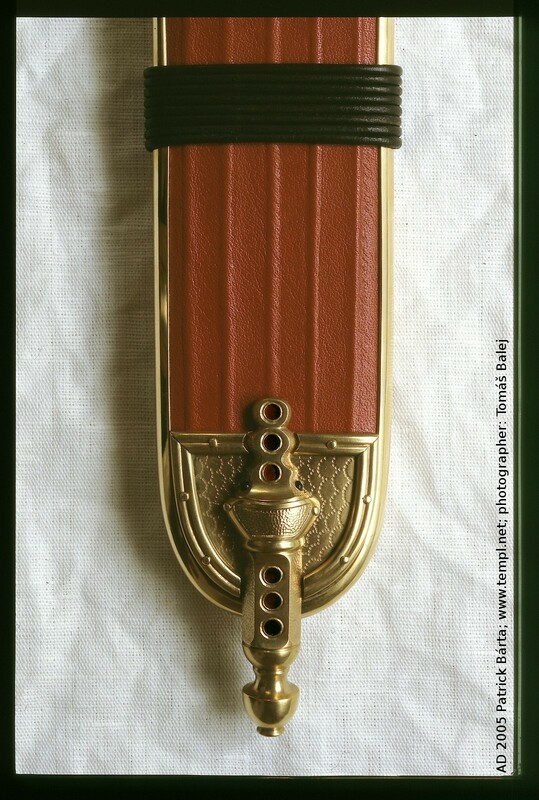 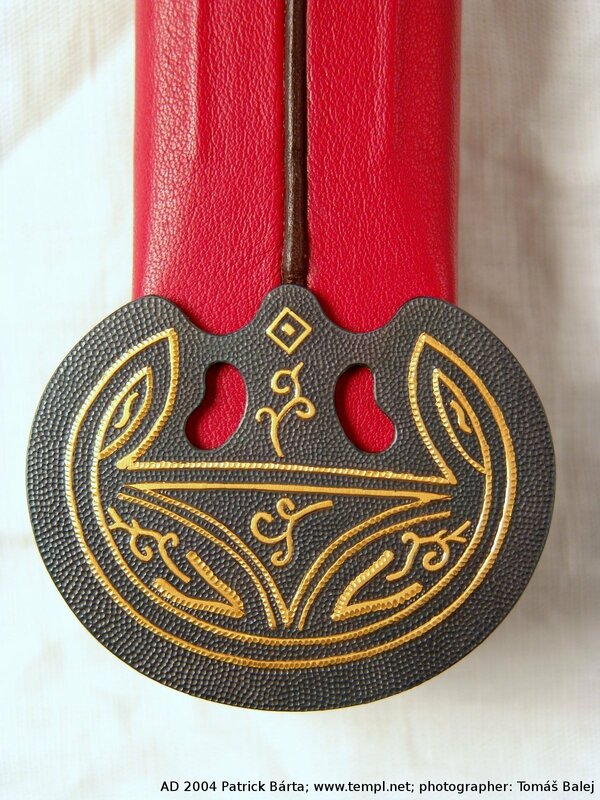 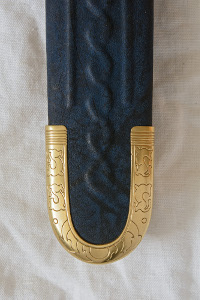 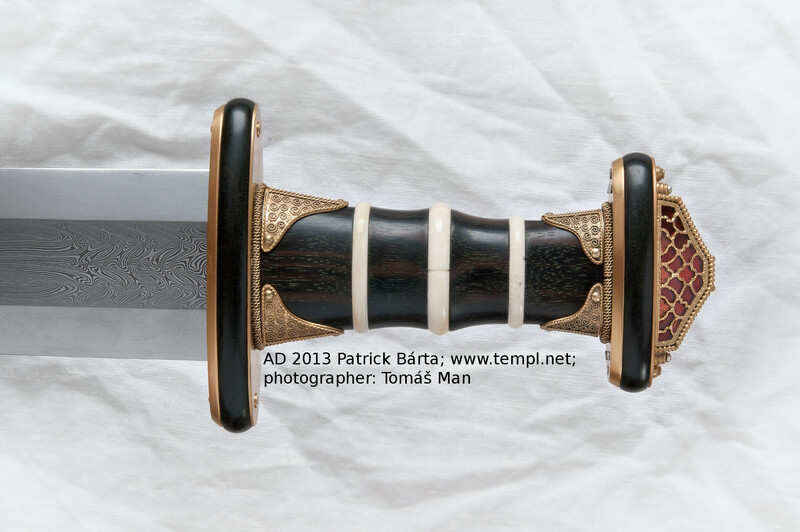 hilt of wood and gilded bronze, cloisonne scabbard-mouth. 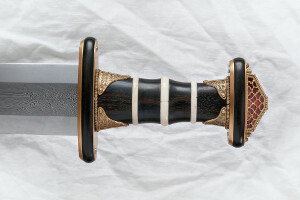 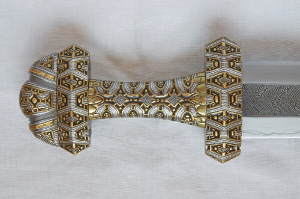 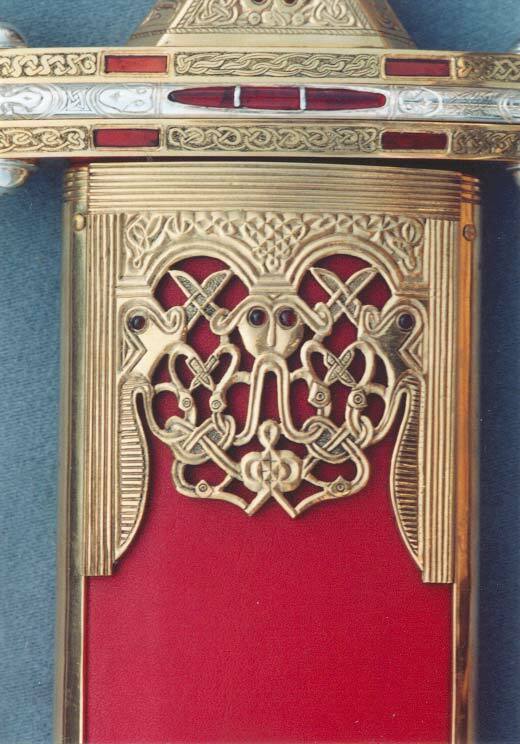 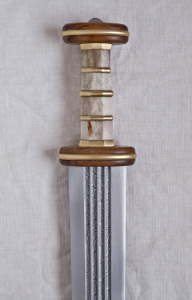 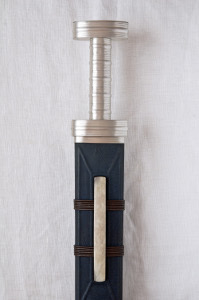 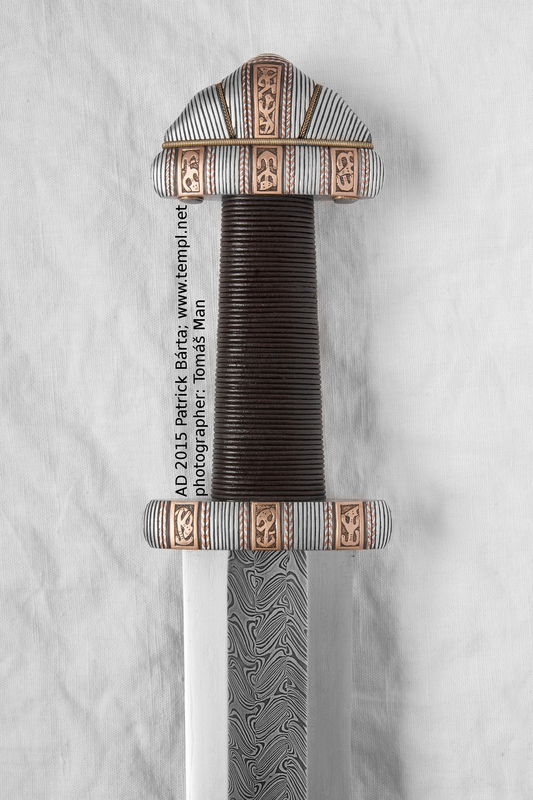 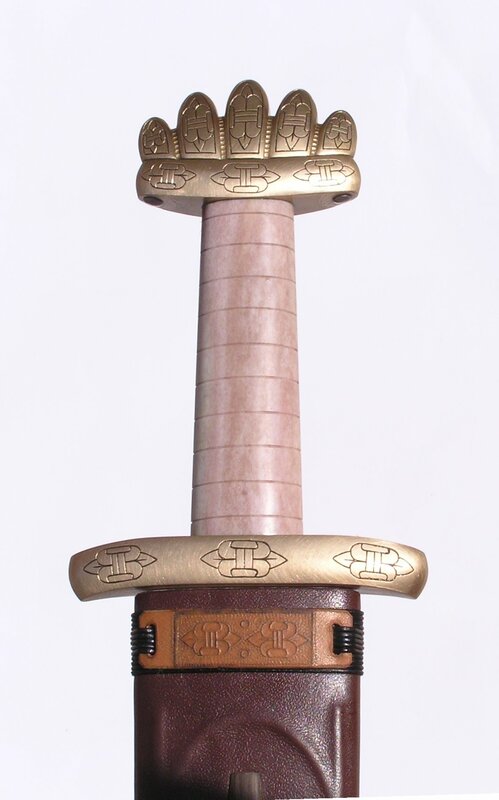 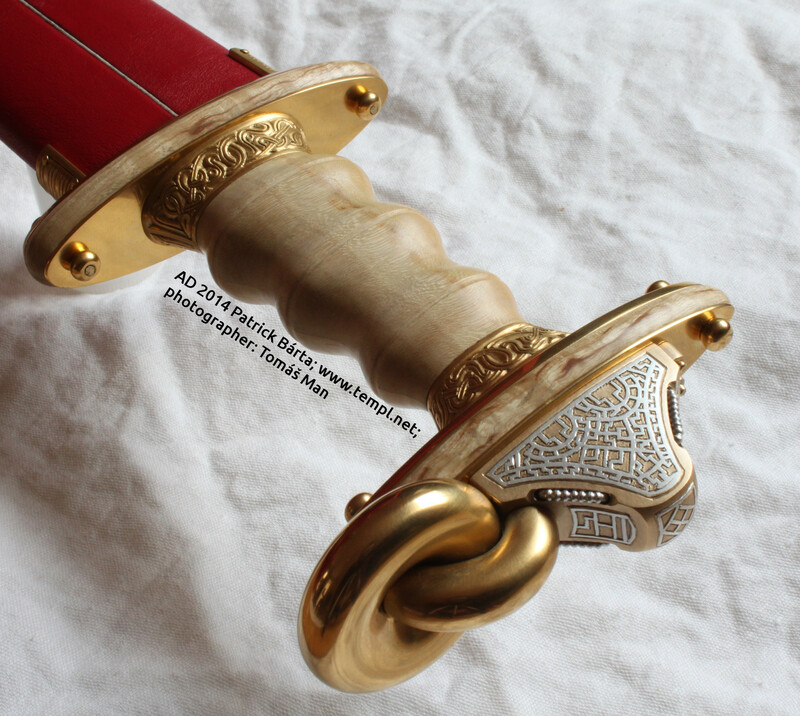 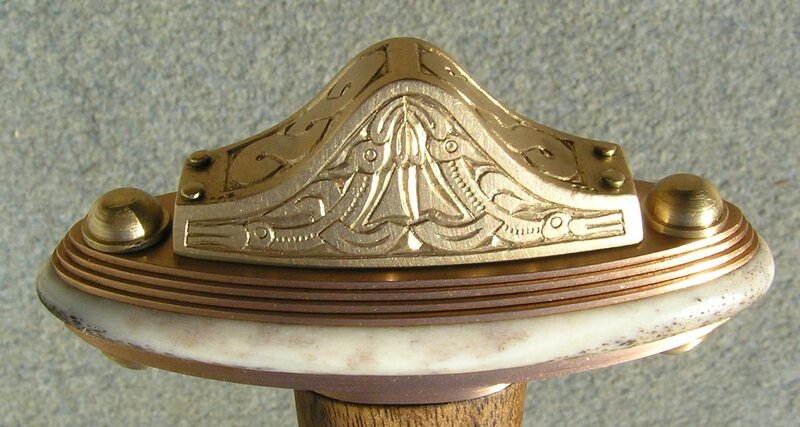 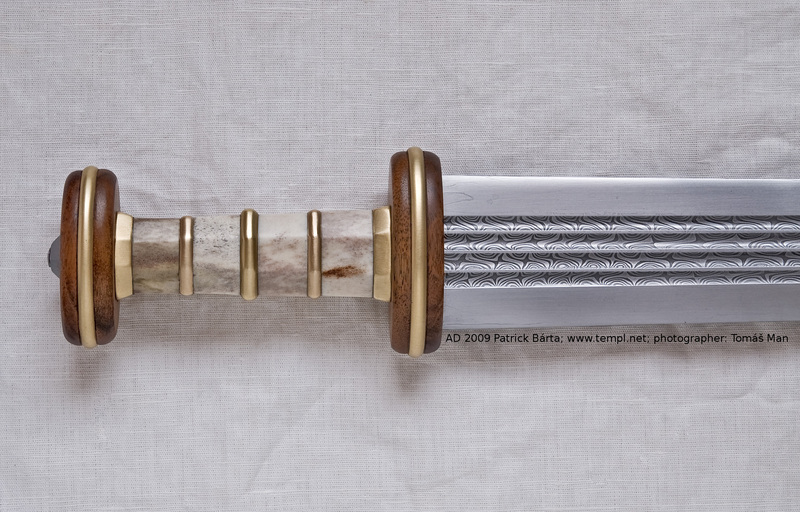 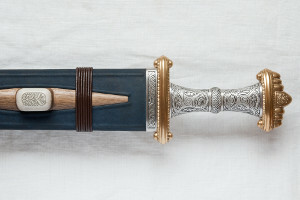 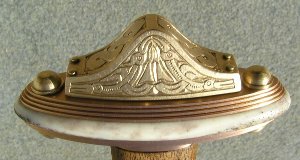 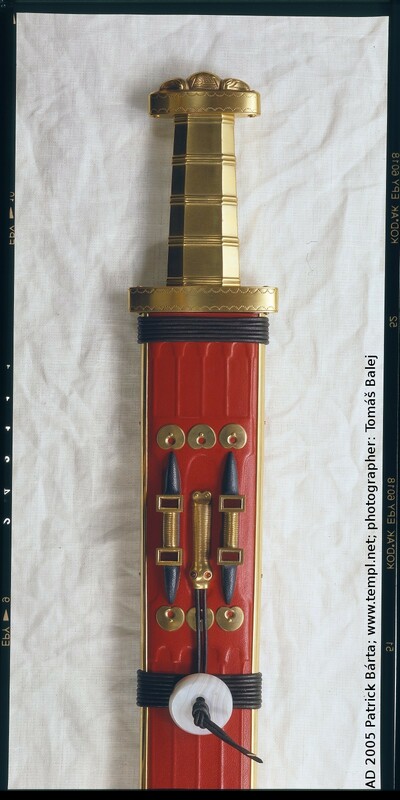 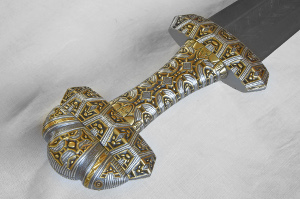 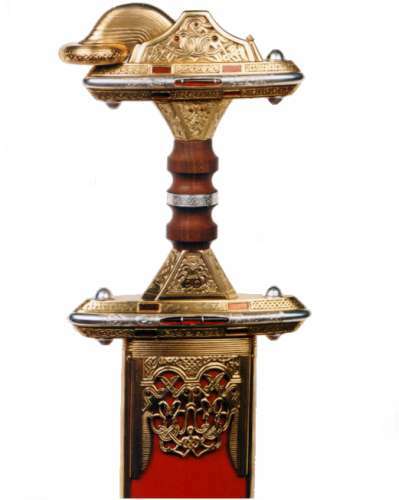 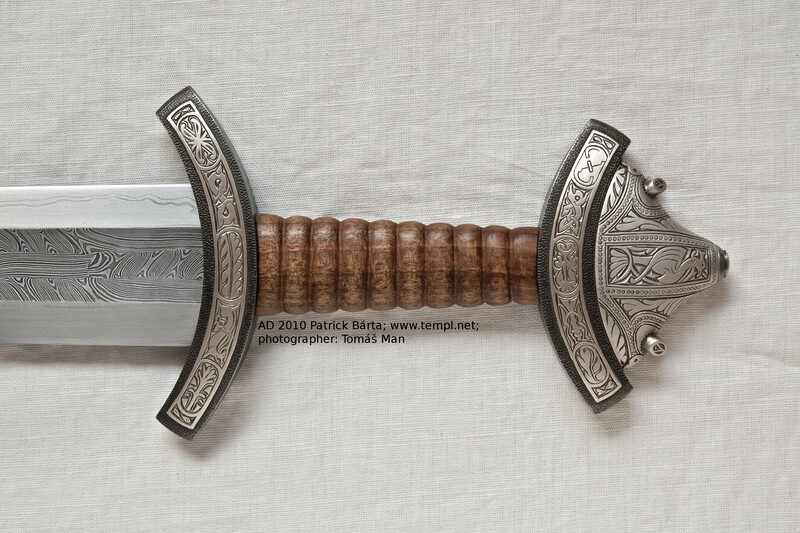 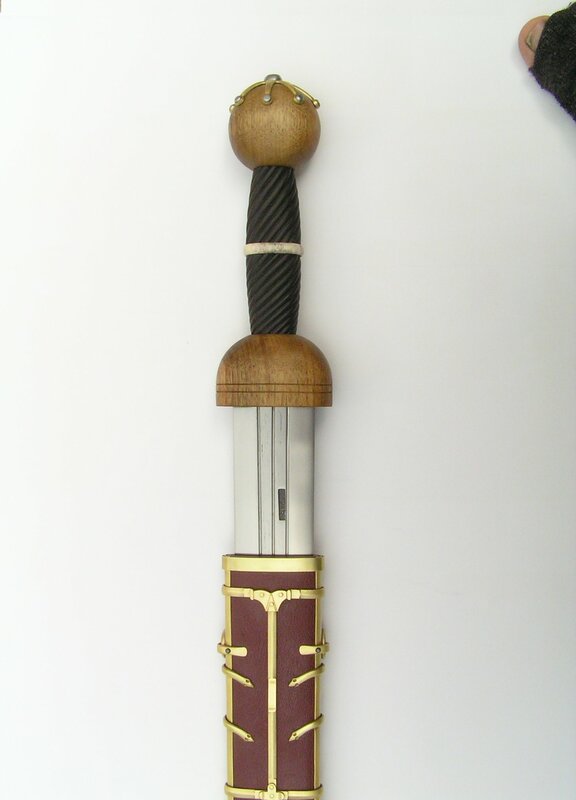 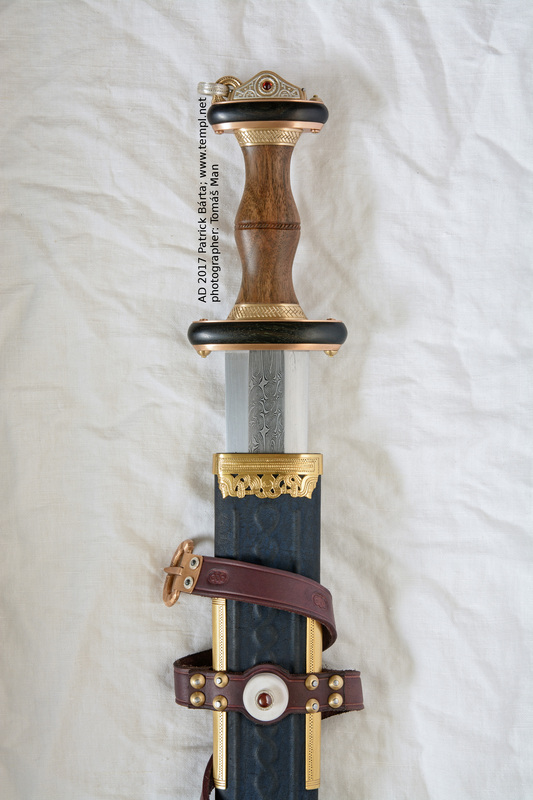 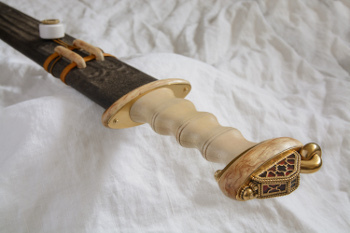 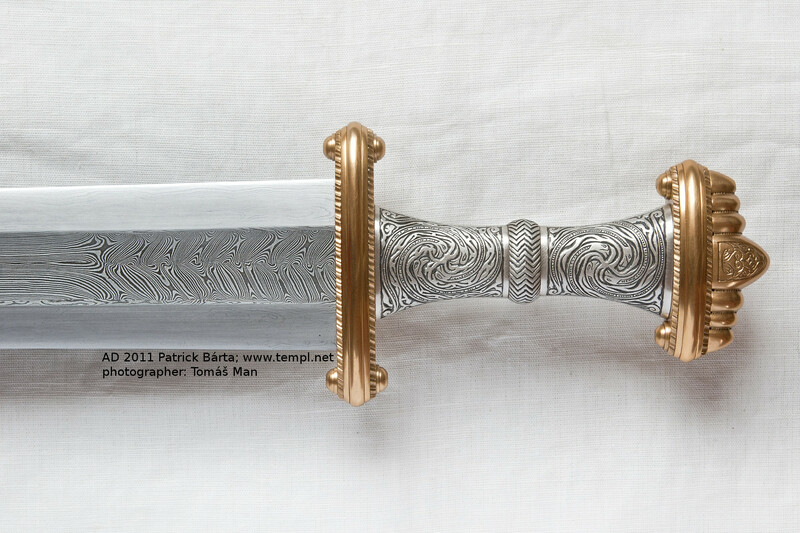 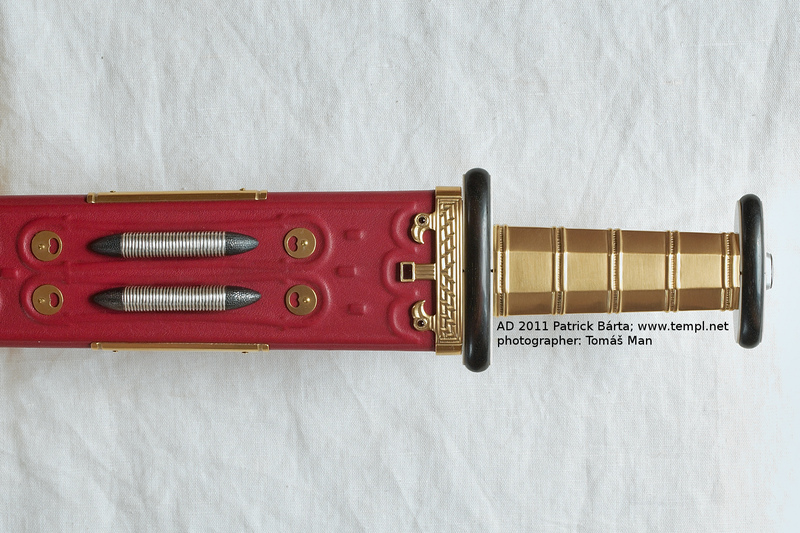 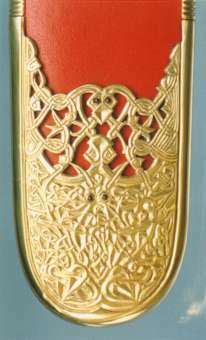 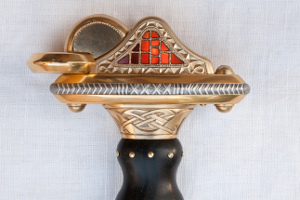 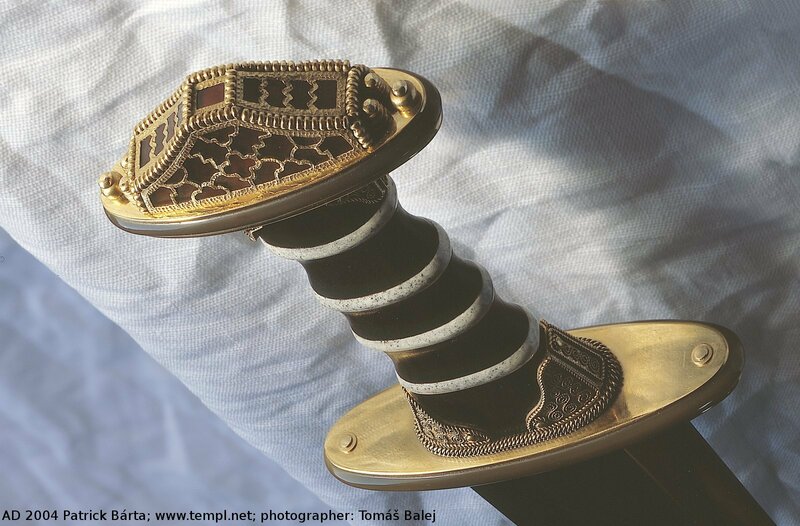 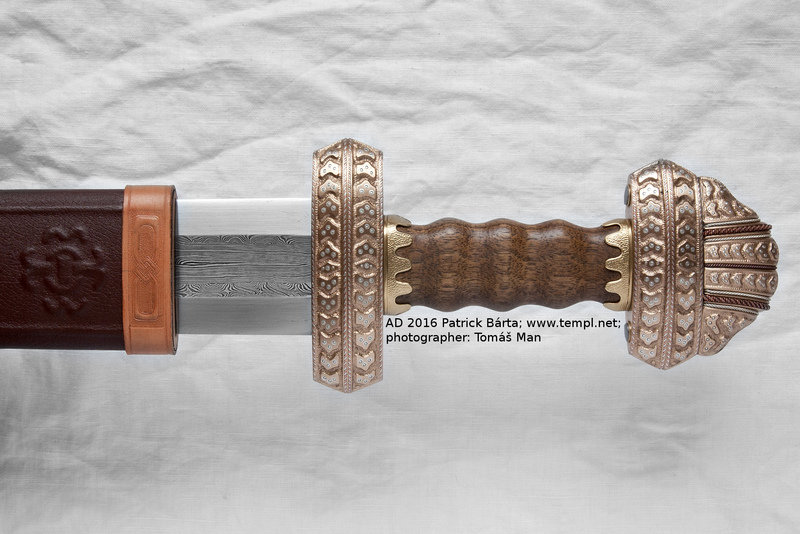 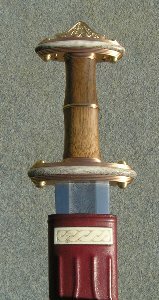 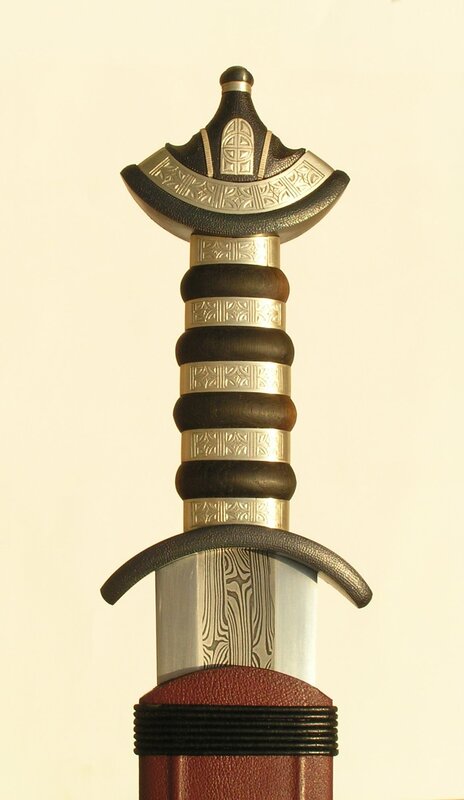 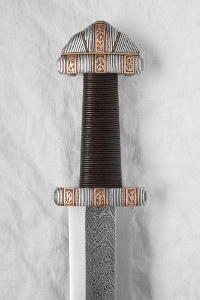 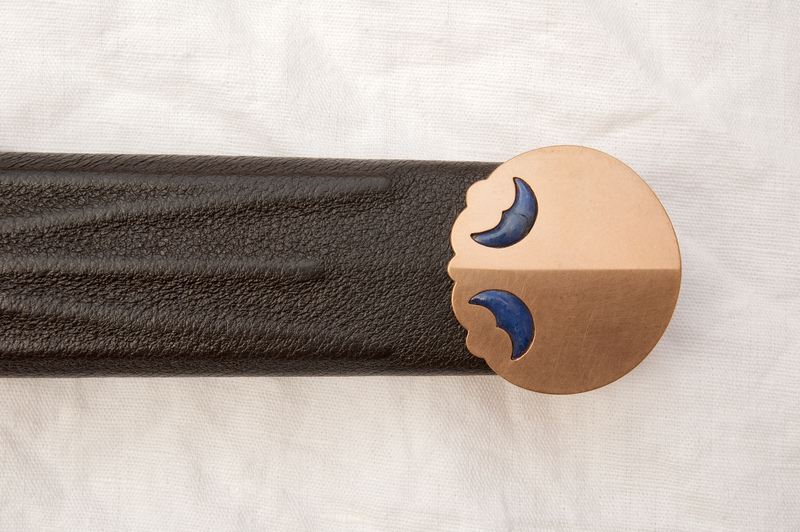 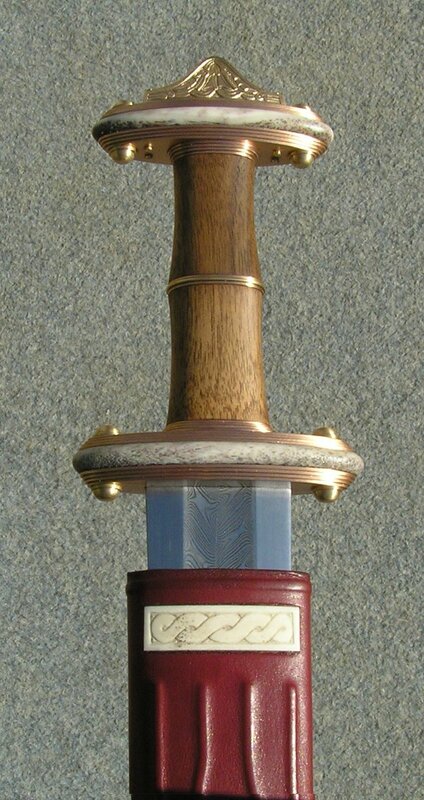 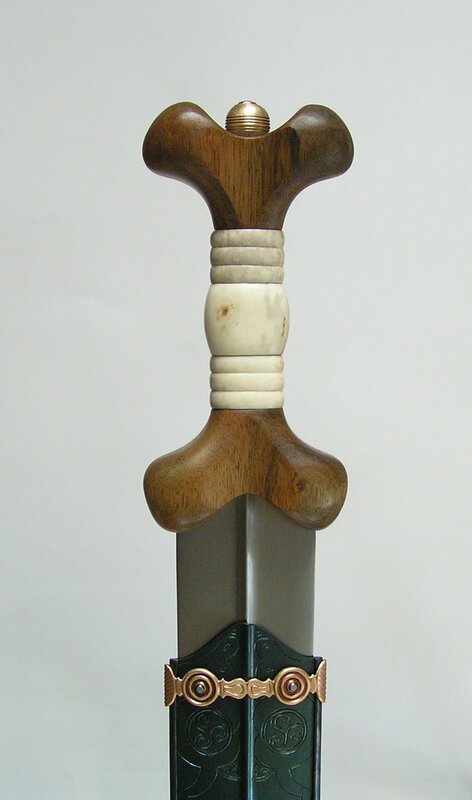 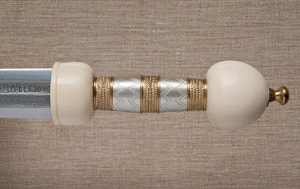 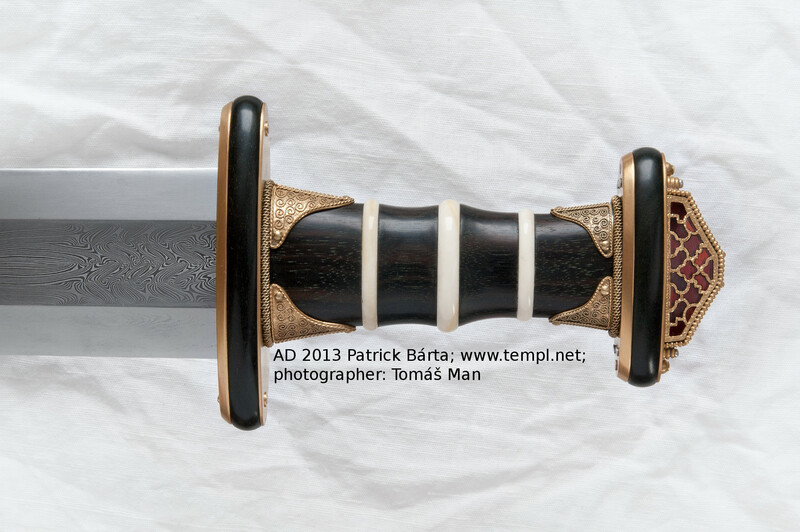 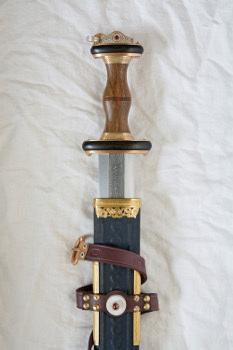 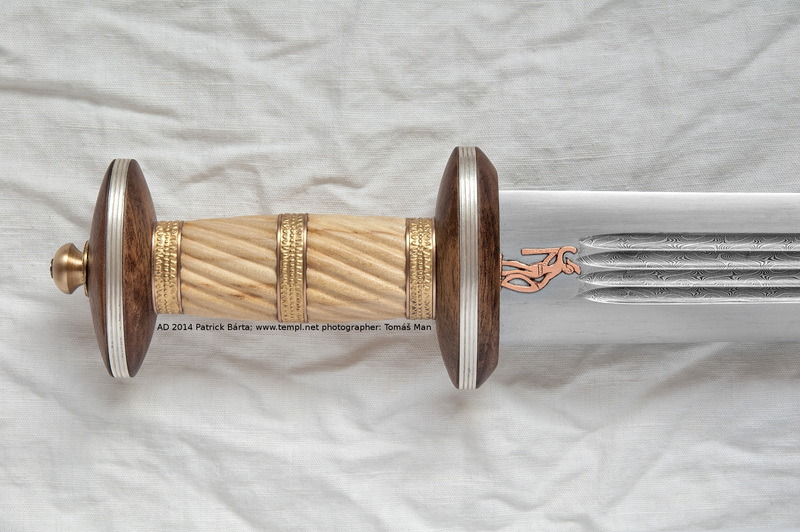 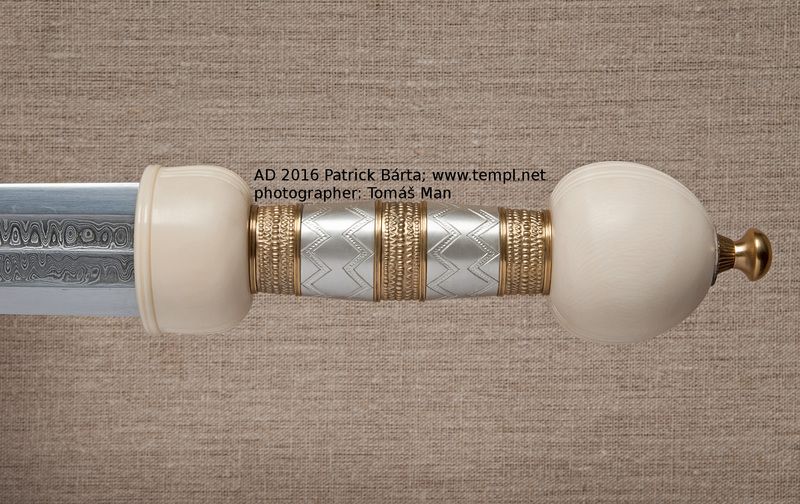 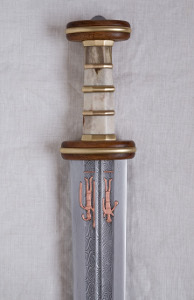 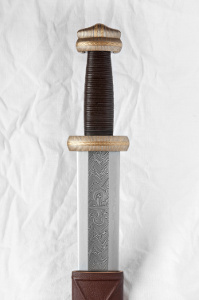 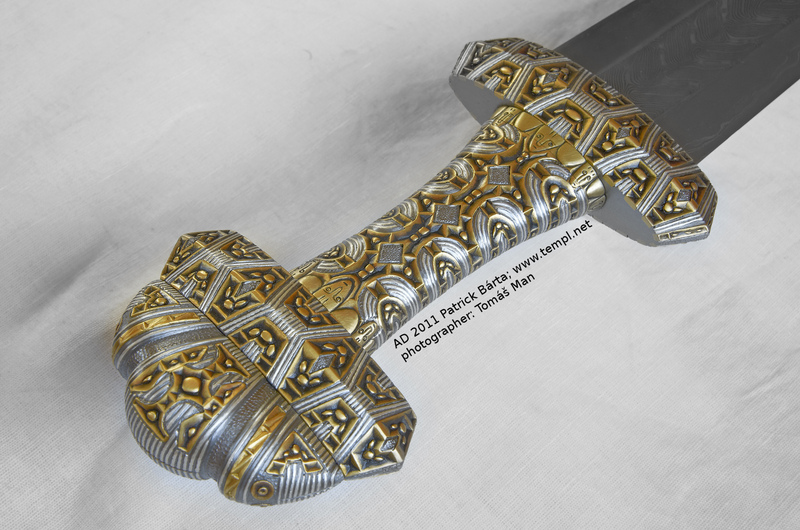 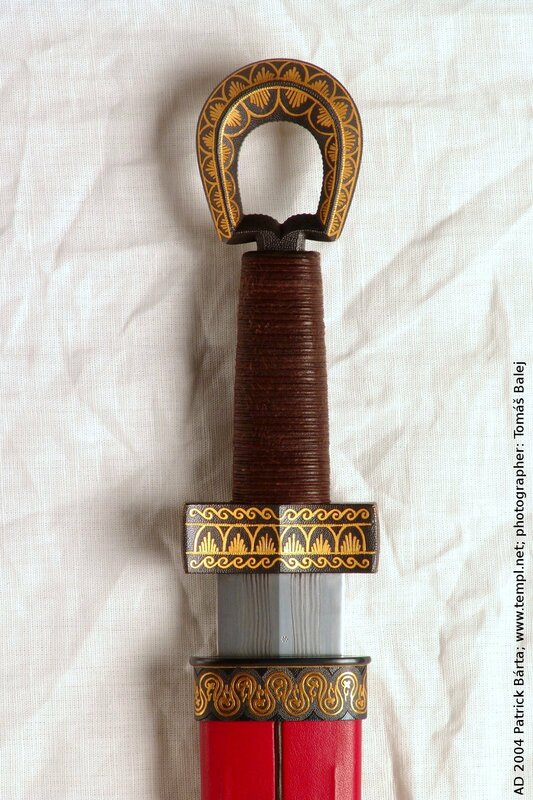 hilt of wood and gilded bronze, garnets, silver inlaying. 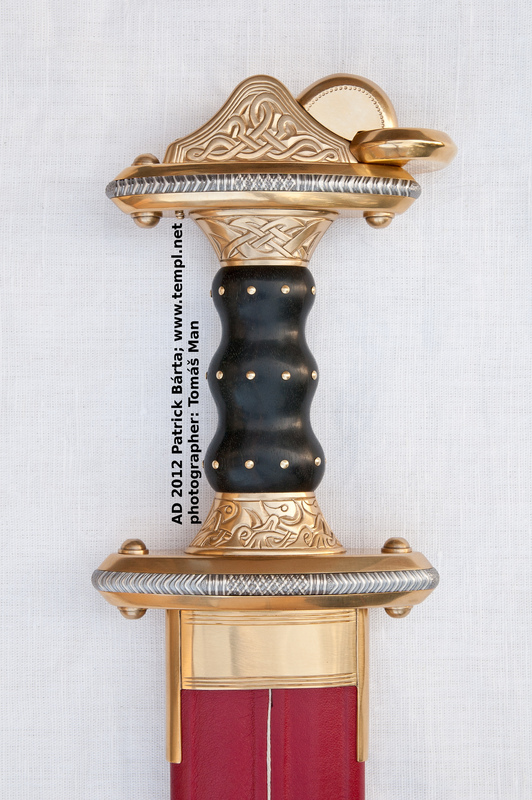 hilt of wood and gilded bronze, cloisonne pommel. 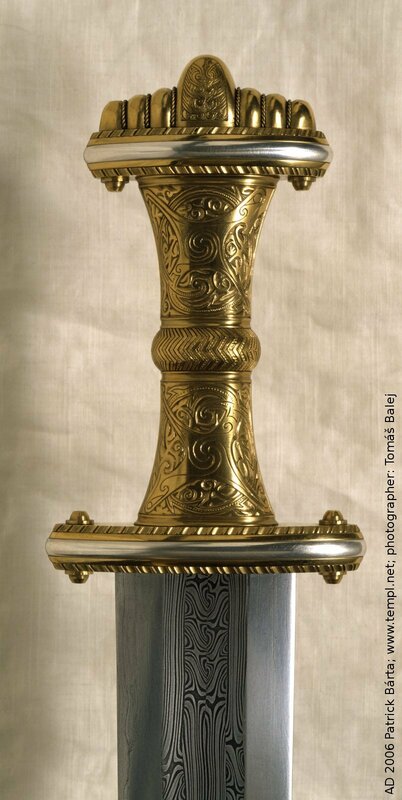 This replica can be seen at the exhibition "Treasures of Moravia". 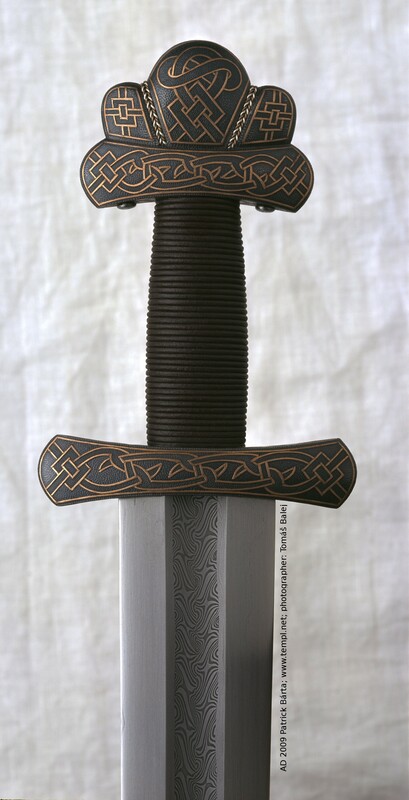 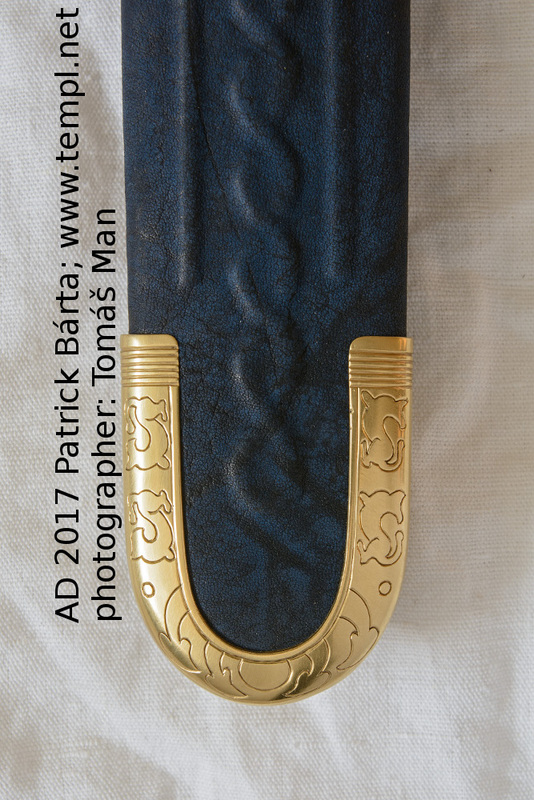 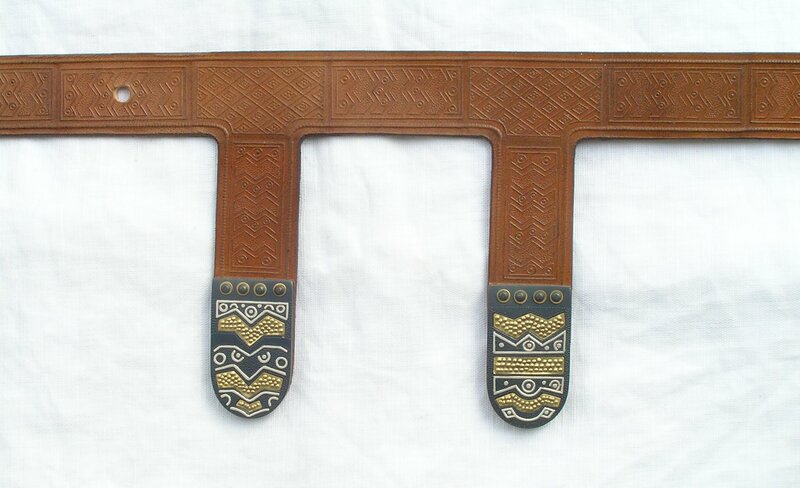 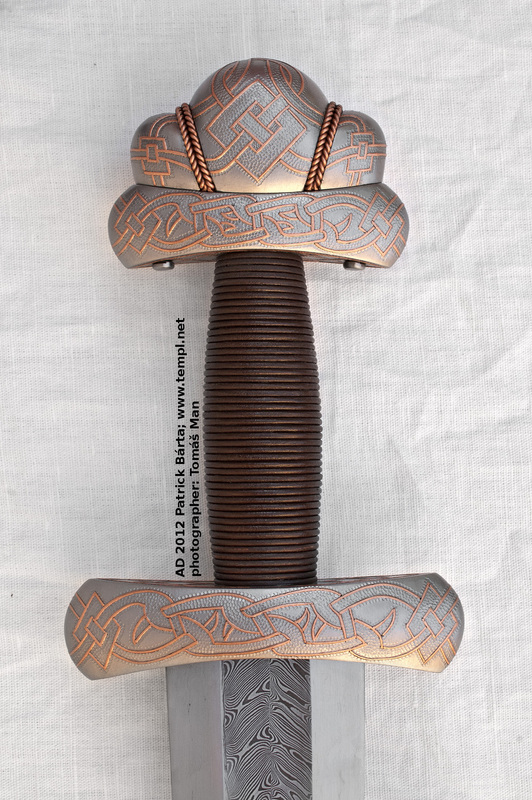 This replica can be seen at the exhibition "The viking grave from Groix island"
hilt of copper inlaid iron, pattern-welded blade. 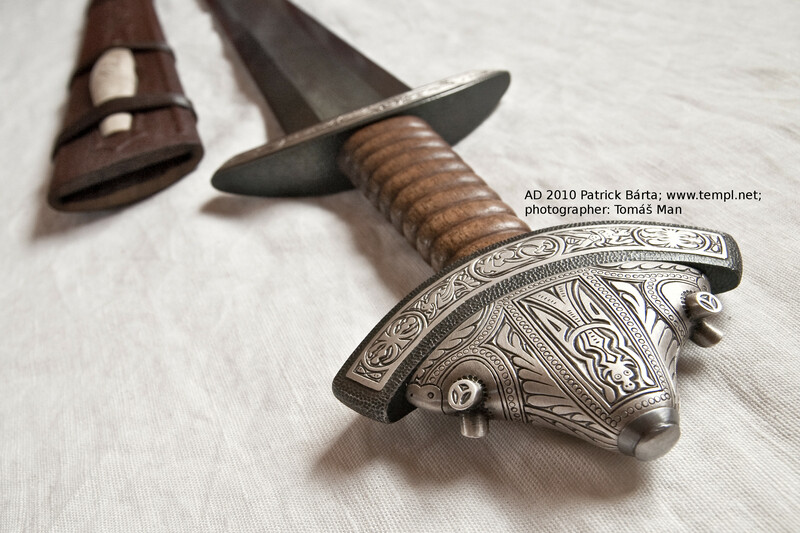 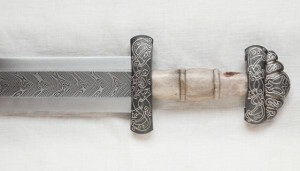 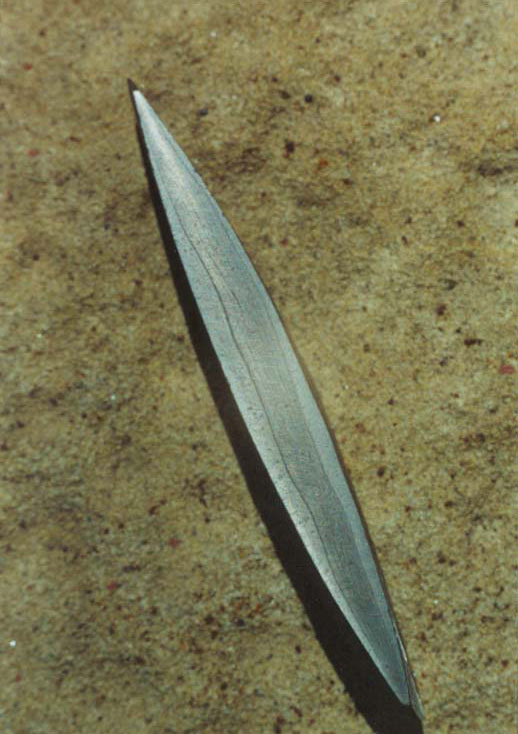 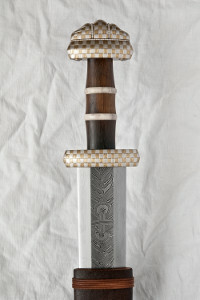 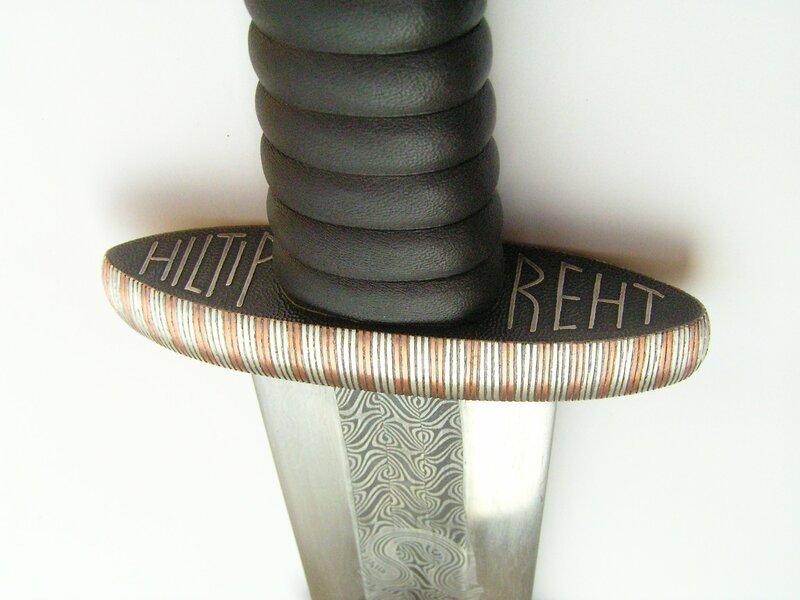 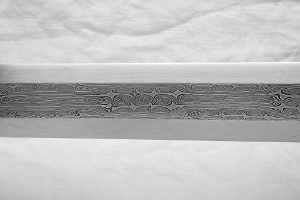 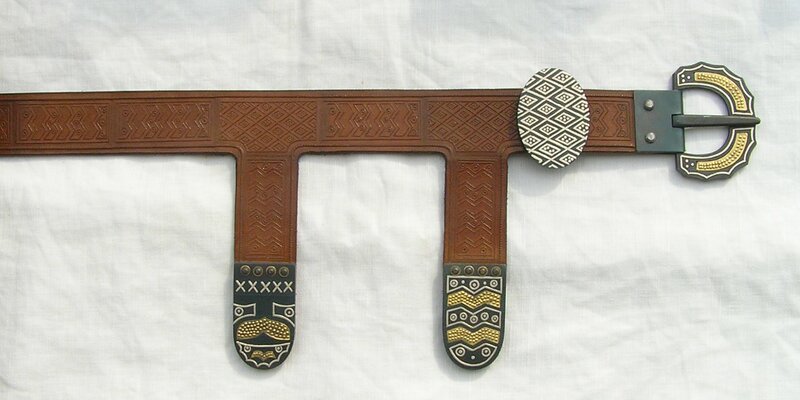 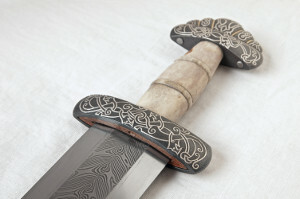 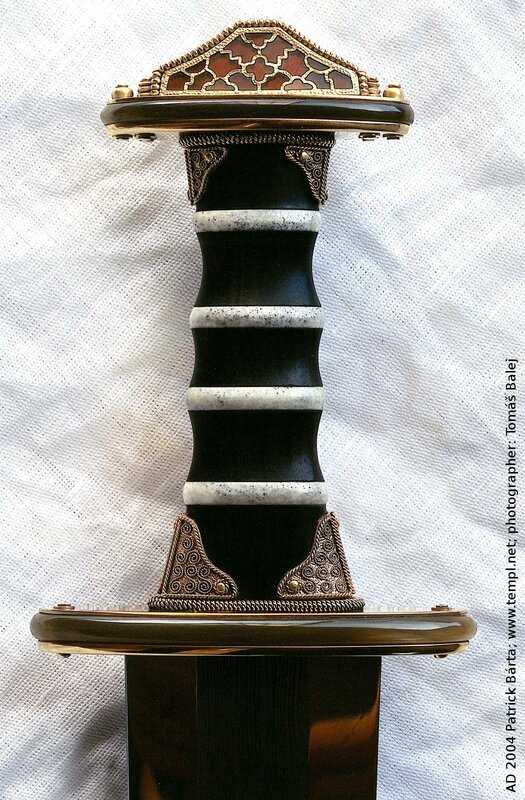 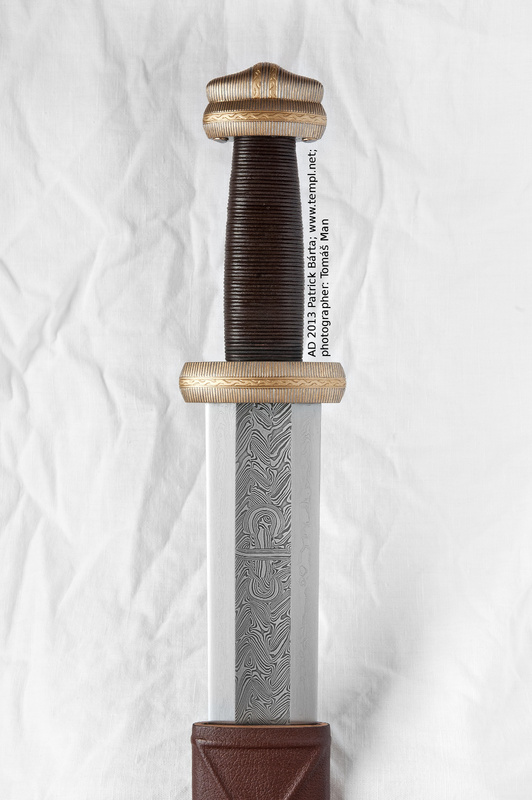 hollow iron hilt, inlaid with silver, pattern-welded blade. 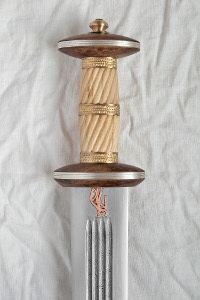 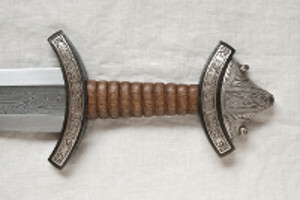 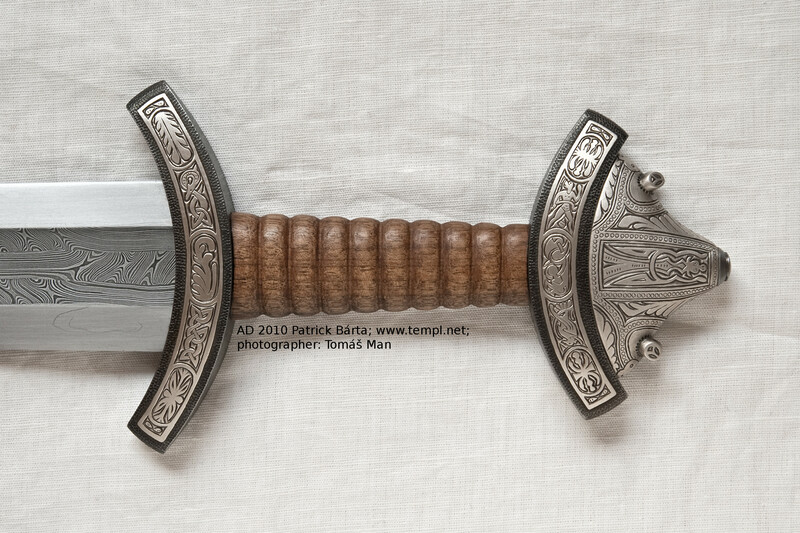 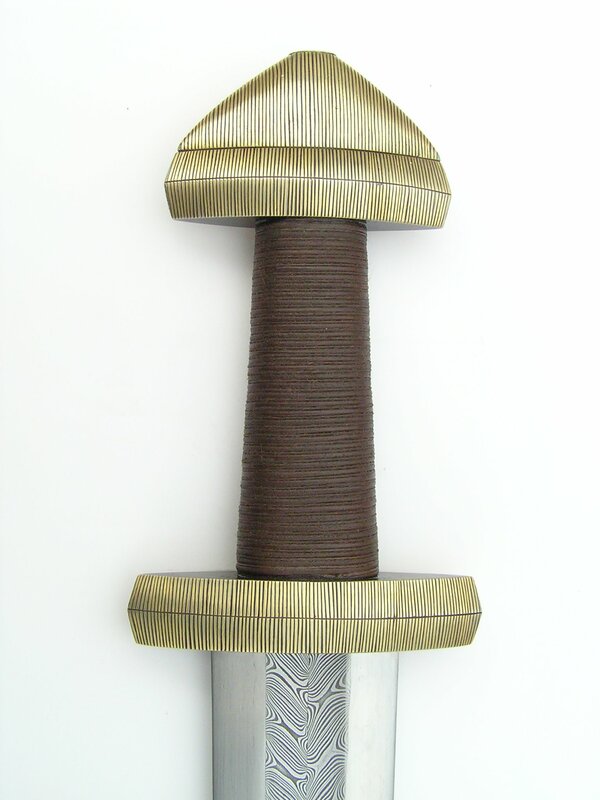 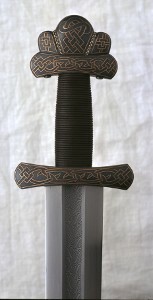 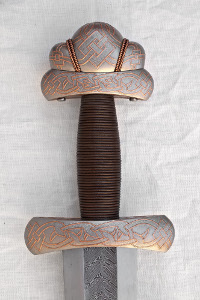 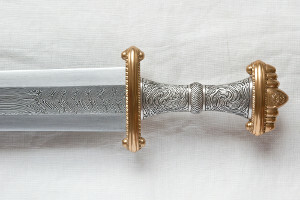 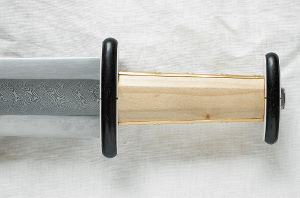 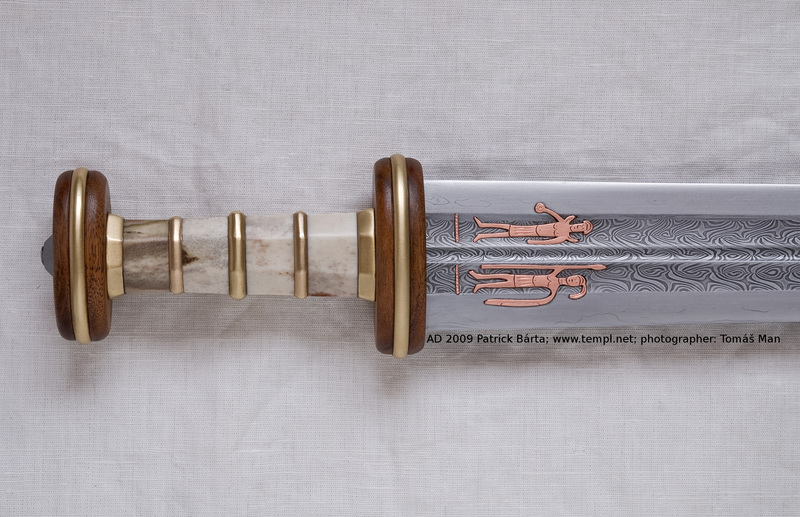 hollow iron hilt, inlaid with silver and brass, pattern-welded blade.